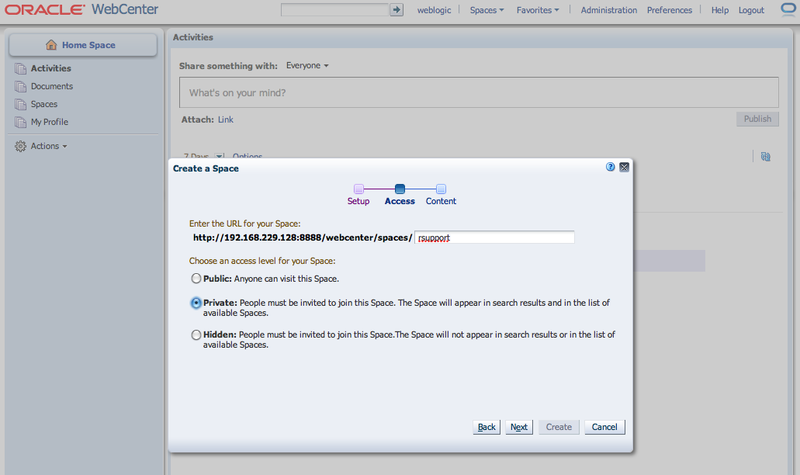 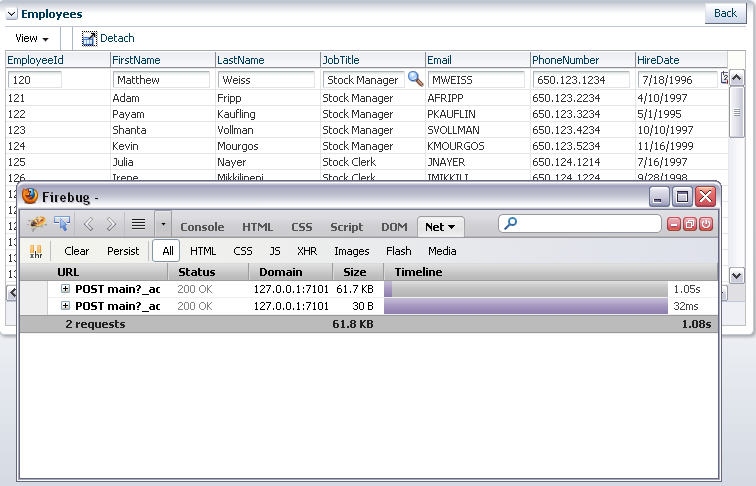 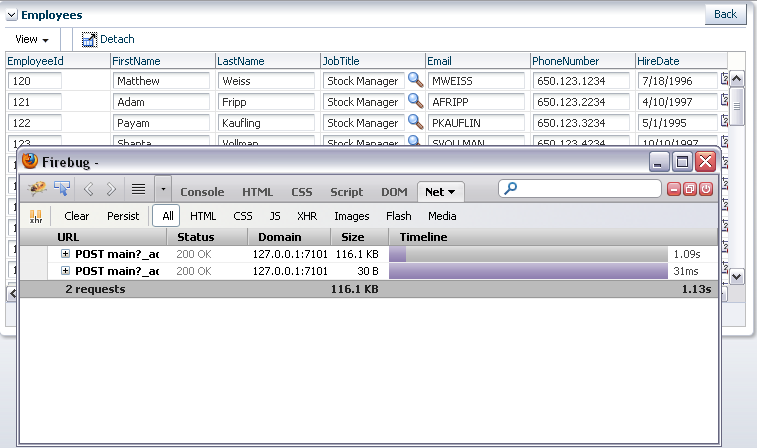 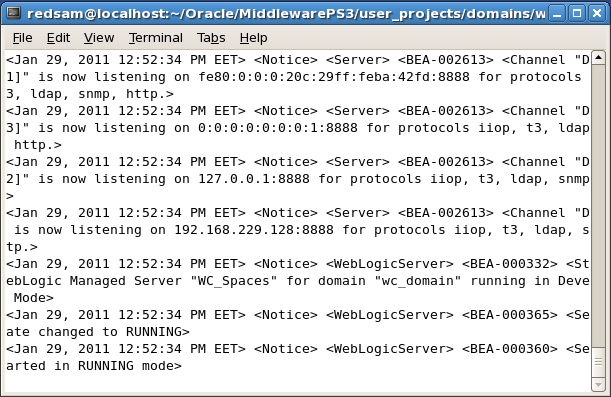 I'm positively surprised about how much is simplified Discussion Server configuration with WebCenter Spaces PS3. 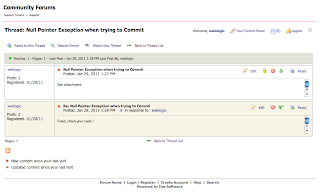 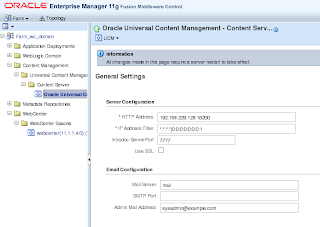 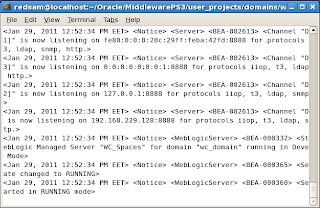 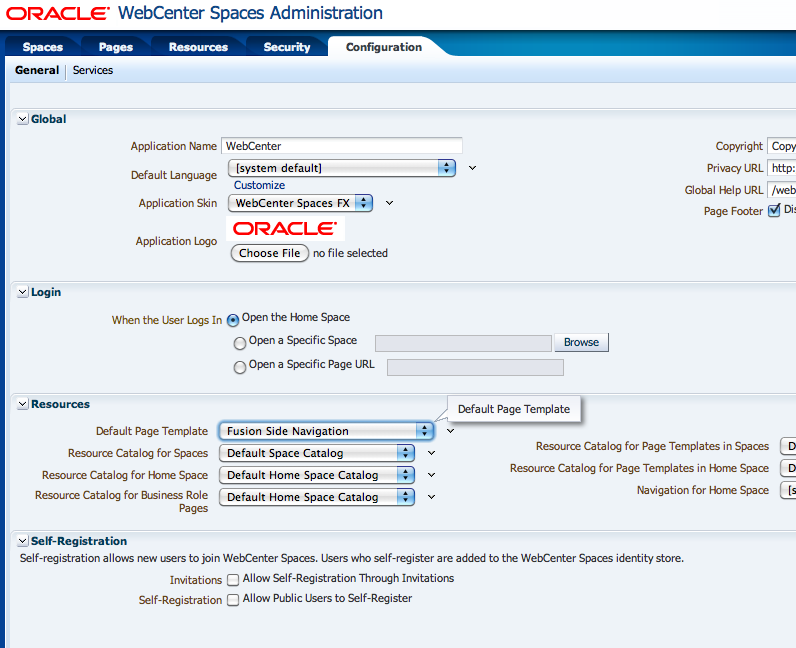 Almost one year ago I was blogging about Discussion Server setup with WebCenter Spaces PS2 - WebCenter 11g Discussion Service in Oracle ADF, honestly it was a bit of nightmare to setup all these security certificates and make it work properly. 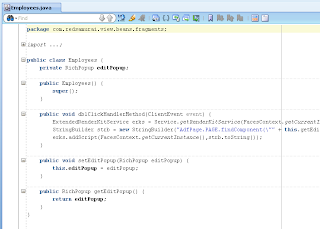 You can forget this now, setup processes is simplified to the minimum and can be completed in few minutes. 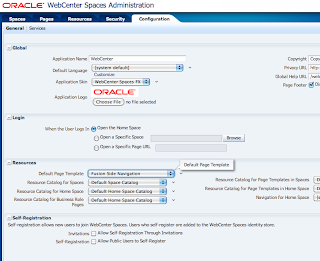 I will walk you through Discussion Server setup with WebCenter Spaces PS3 and will give few hints for WebCenter PS3 setup on Oracle XE database, where you had previously installed PS2 RCU schemas. 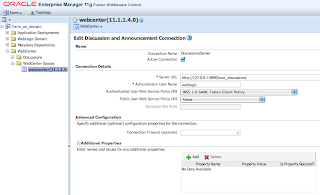 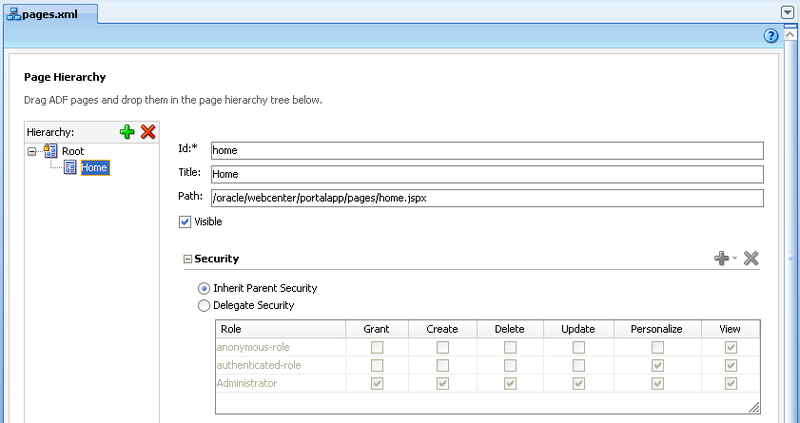 Authenticated User Web Service Policy URI allows to authenticate from WebCenter Spaces PS3 to Discussion Server without defining security certificates. 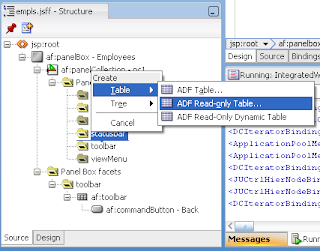 There are really exciting news with ADF 11g PS3, I did some practical test experiments and can see that ADF runtime performance with the new release is about 2-3 times faster comparing to previous ADF 11g PS2 release. 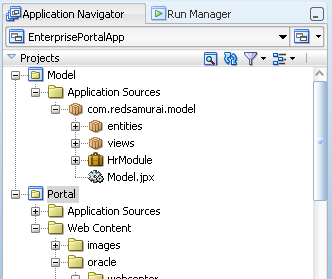 Performance tests were done on production project, I replicated the same tests on sample application based on standard example HR schema from Oracle XE database. 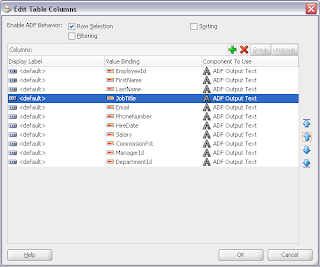 Both tests for PS2 and PS3 were done on the same machine, the same ADF application. 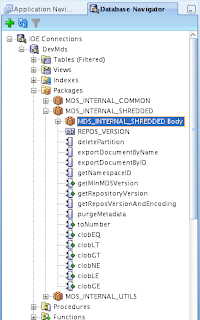 I will not only describe performance improvements in PS3, but will go a bit deeper and describe performance friendly patterns for CRUD type operations. 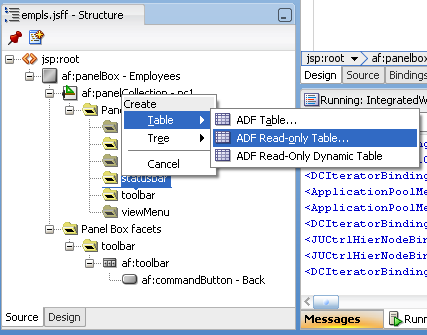 I will be focusing on editable/read-only ADF tables comparison for CRUD type operations - CRUD Operations in Oracle ADF 11g Table Without Auto PPR. 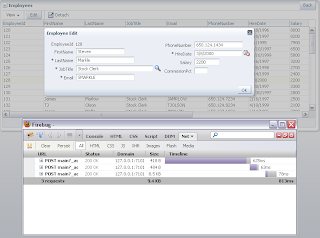 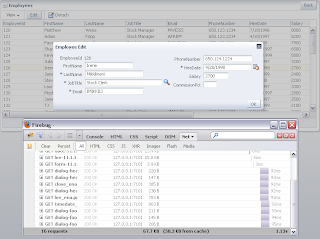 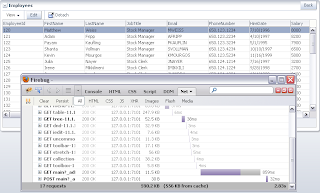 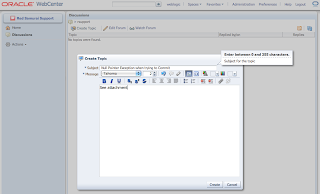 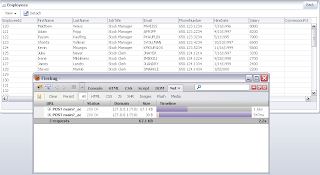 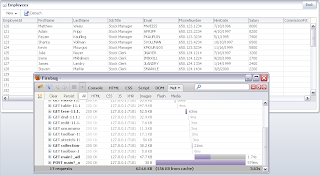 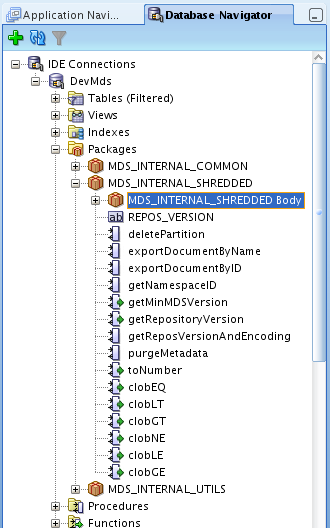 Download typical Master-Detail ADF sample application - ChoiceListPerformance2.zip. 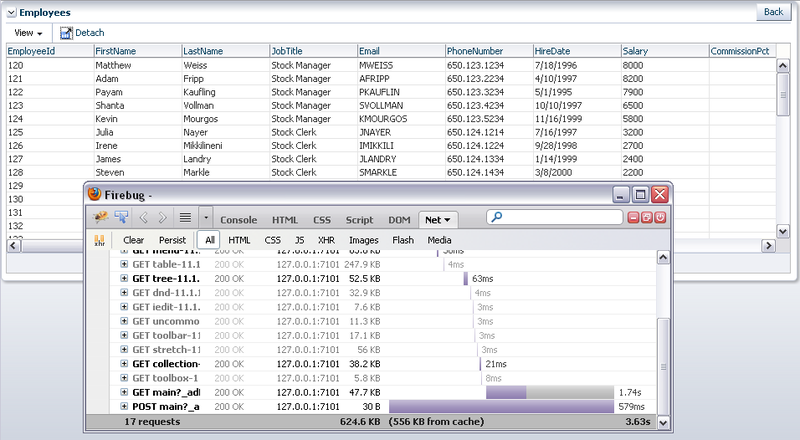 All experiments in this blog post will be done based on that sample. 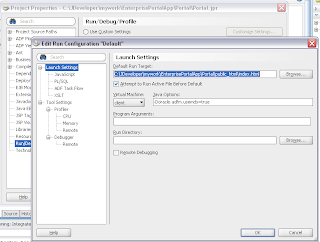 Logically, second run is faster, because required components static data (Java Script, images, etc.) 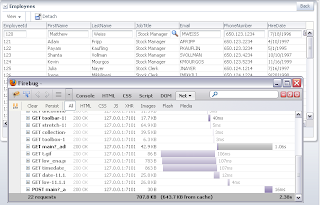 was already loaded during the first run. 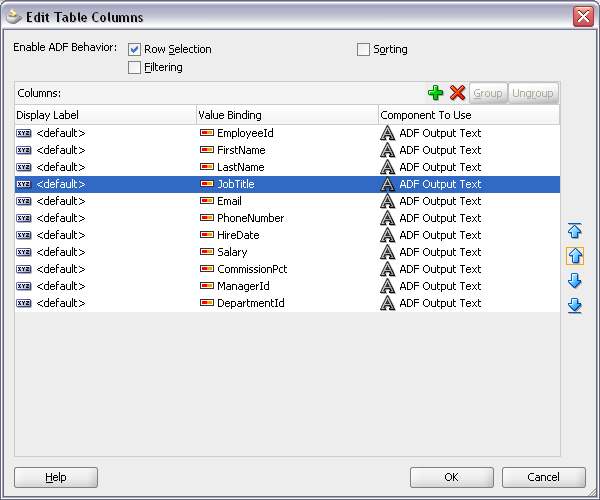 It looks like there is no difference in terms of performance to use directly editable table or clickToEdit functionality. 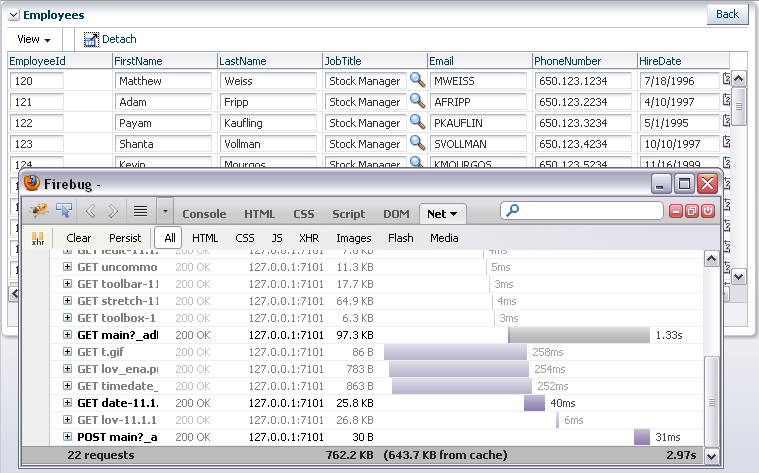 I'm really happy to see such great ADF 11g PS3 runtime performance improvements ! 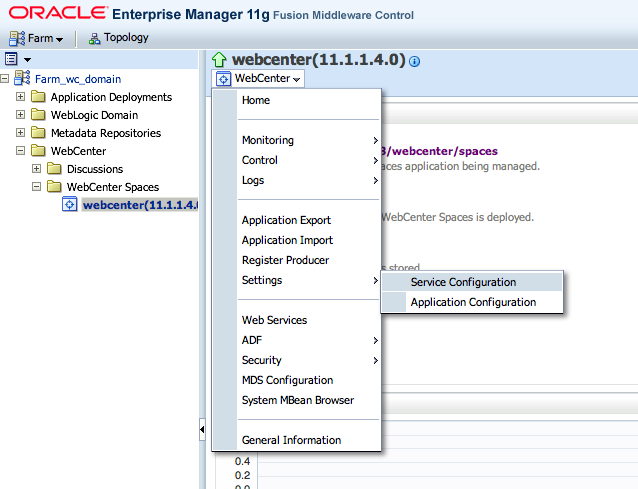 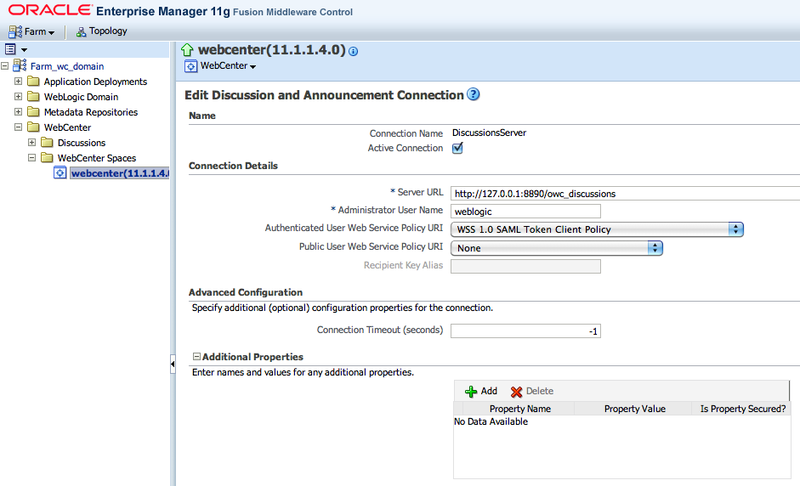 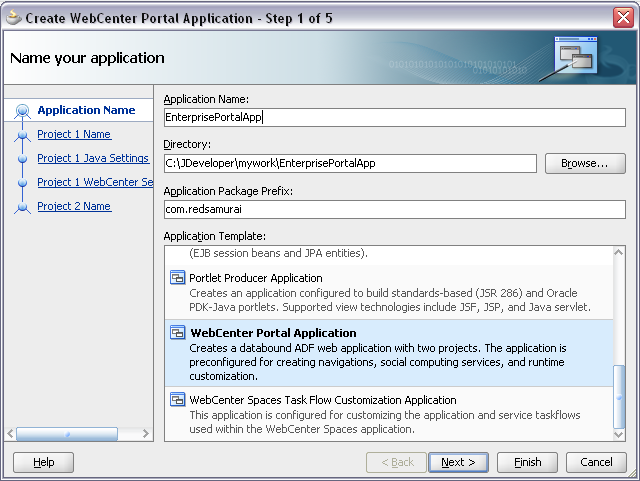 With the new release of JDeveloper - PS3, we can install WebCenter PS3 extensions (use Check for Updates, see here). 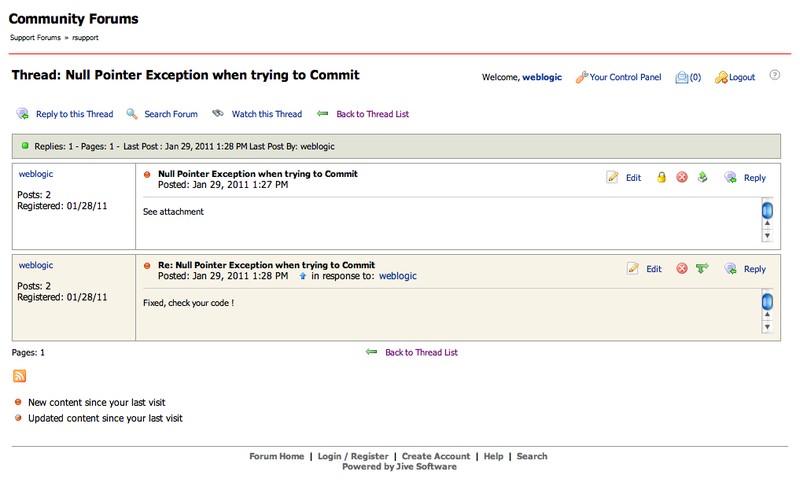 There are tons of new features, and bugs also? 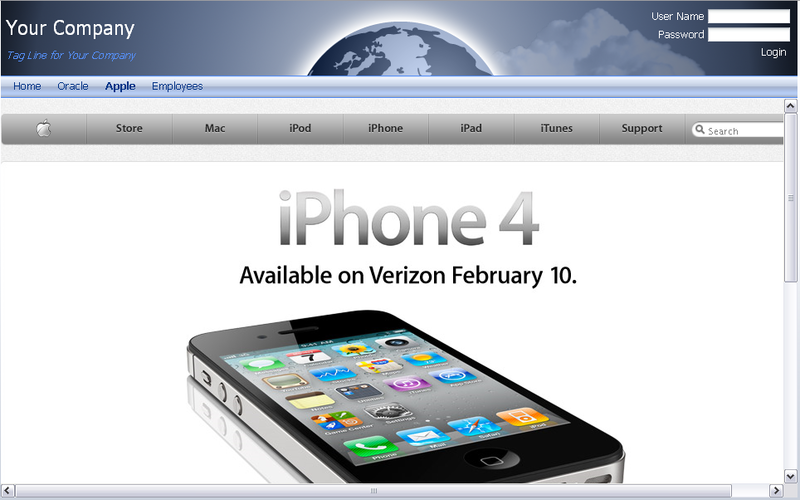 Let's hope that no :) Product is definitely improving with new features and becoming really attractive. 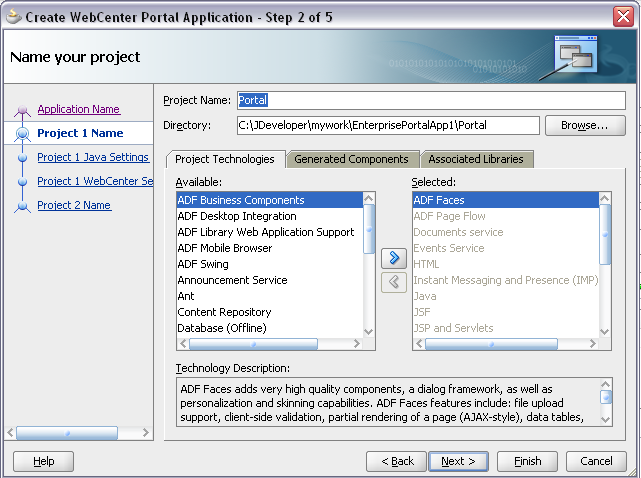 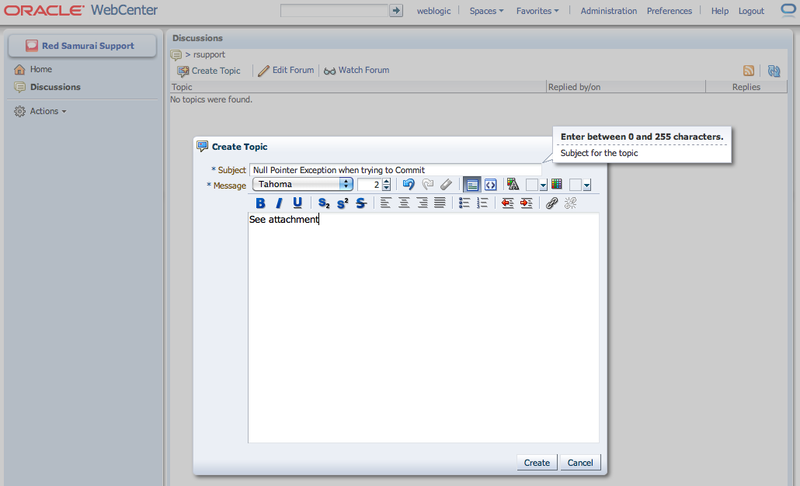 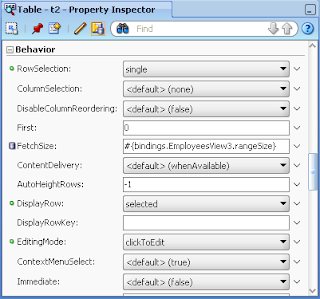 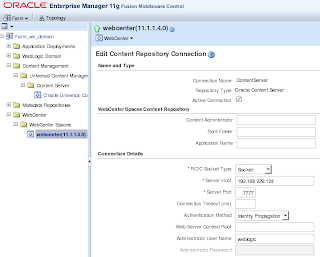 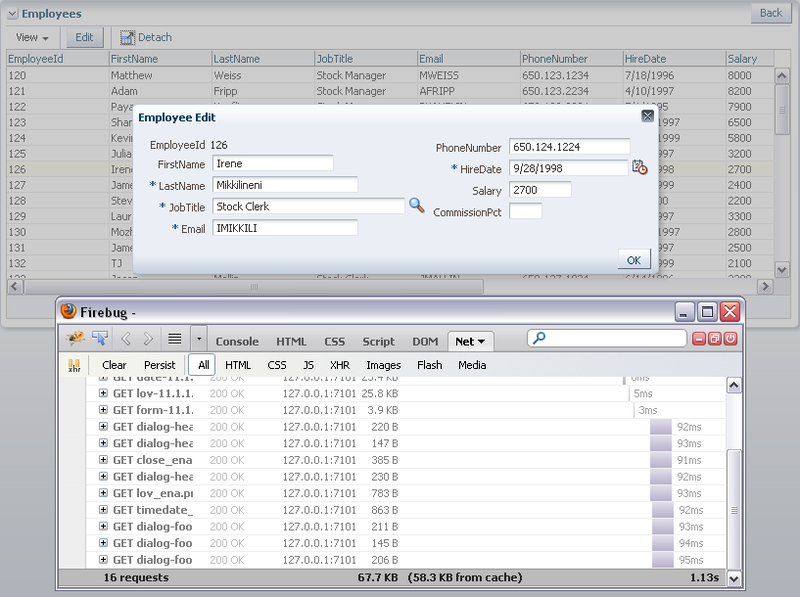 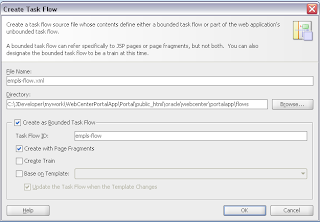 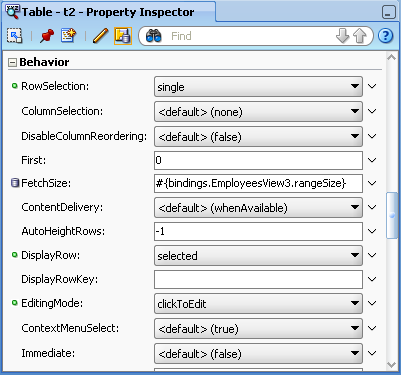 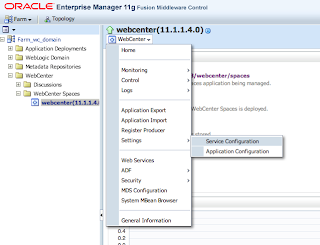 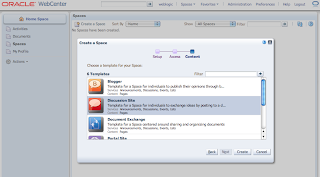 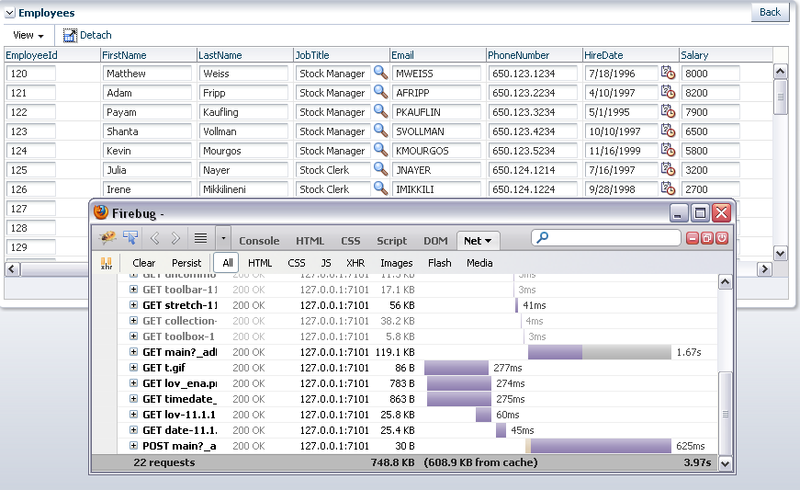 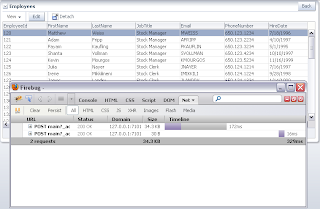 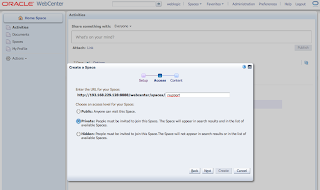 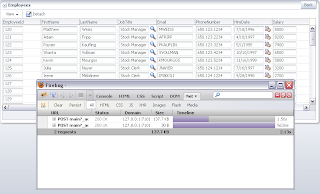 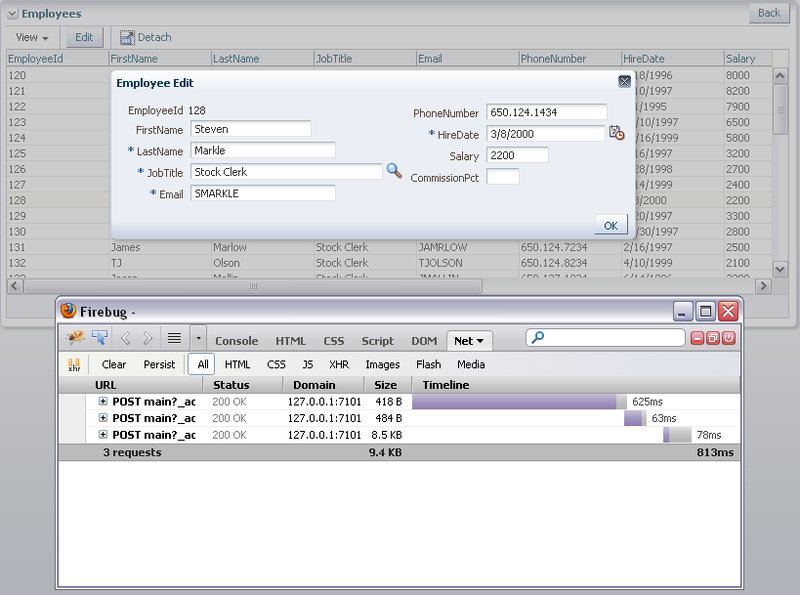 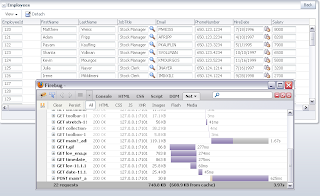 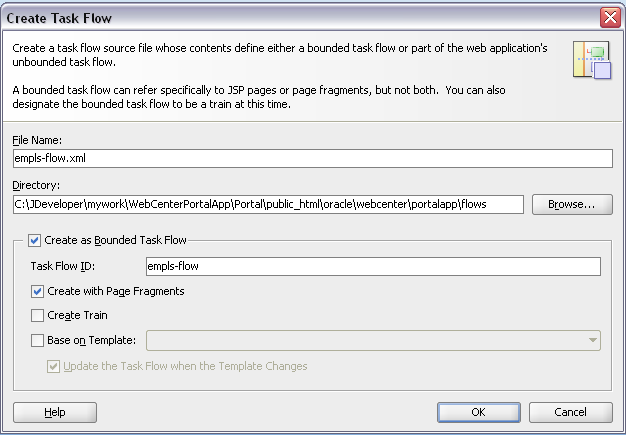 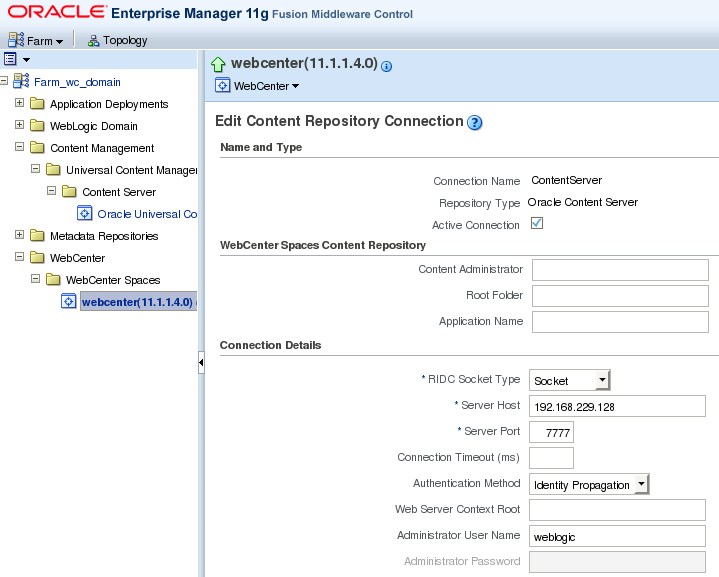 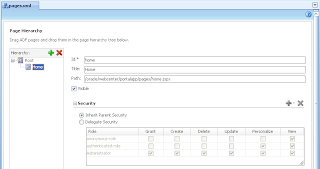 New term is introduced - WebCenter Portal Framework application. 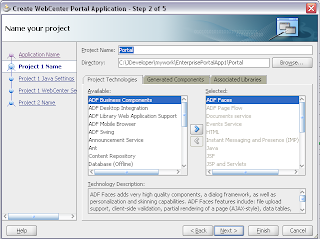 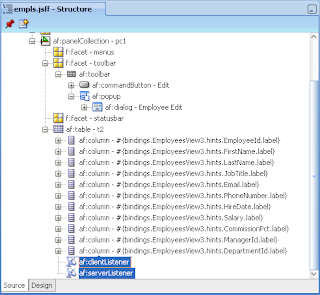 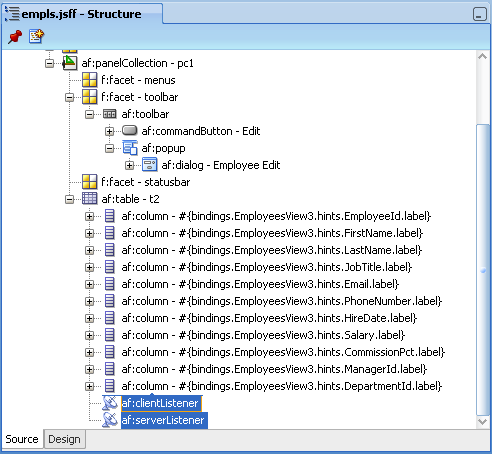 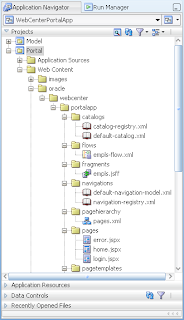 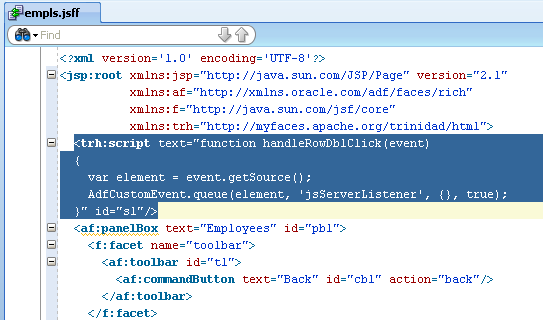 This means we are not building anymore just WebCenter applications based on ADF framework. 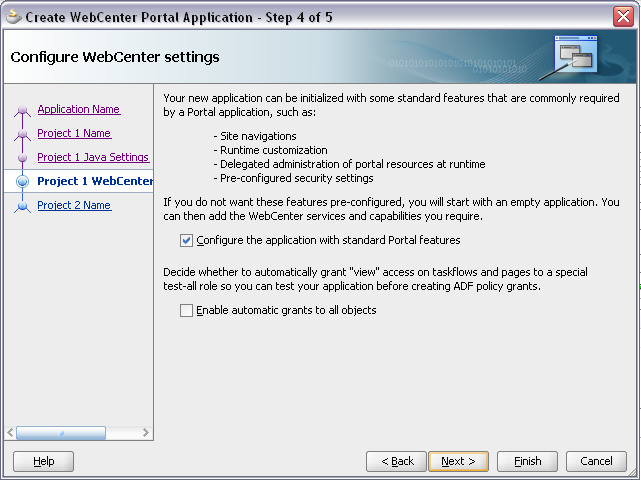 We are implementing portals ! Sounds inspiring - too good to be true? 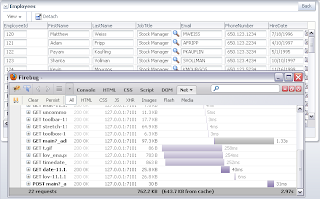 :) Well we will see, how stable this product will be - I will cover many topics from functionality to performance, in my future posts. 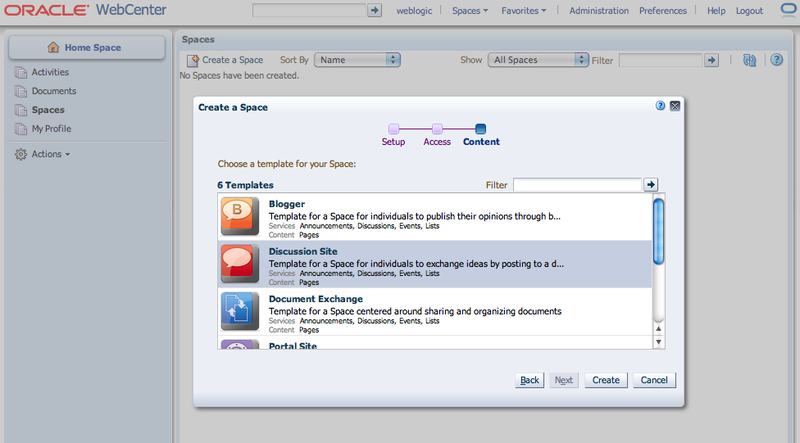 Seems like lots of material for blogging this year ! 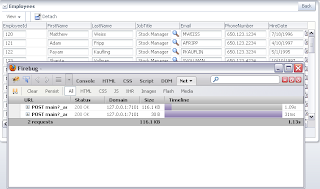 :) On positive note - remember early ADF 11g TP releases, it takes time to make it solid. 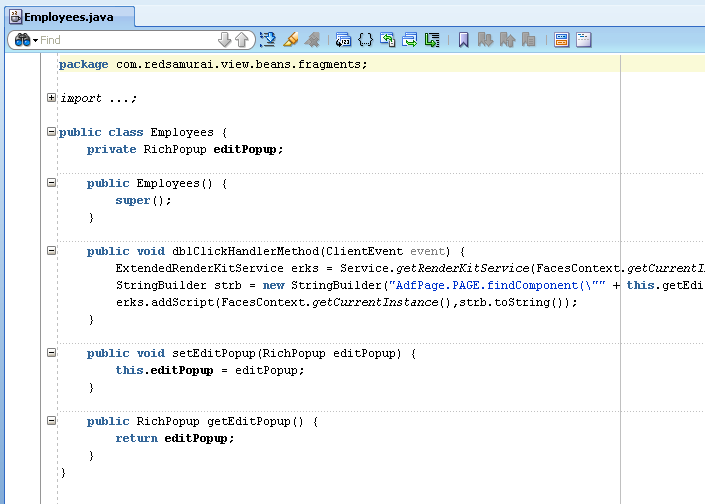 Now we can work with really stable framework. 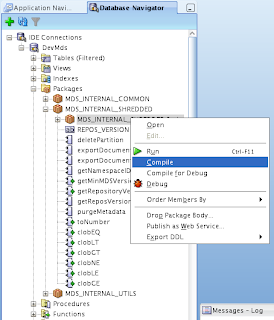 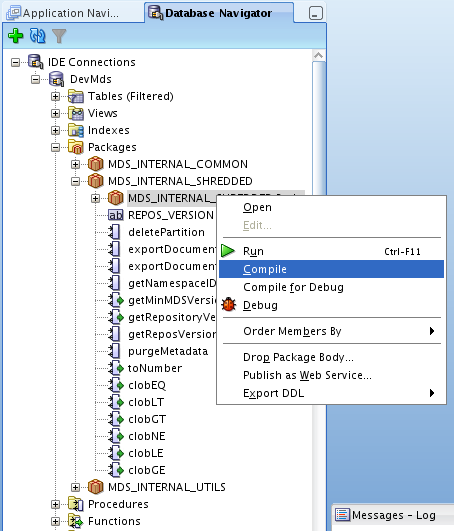 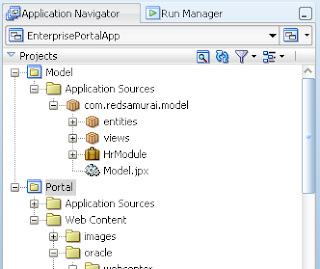 Today I will start with easy topic - introduce WebCenter PS3 Navigation Model. 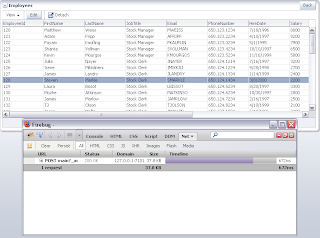 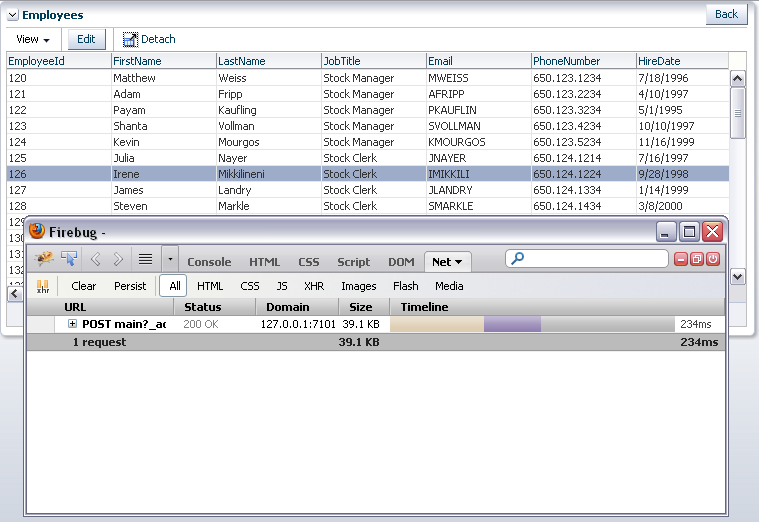 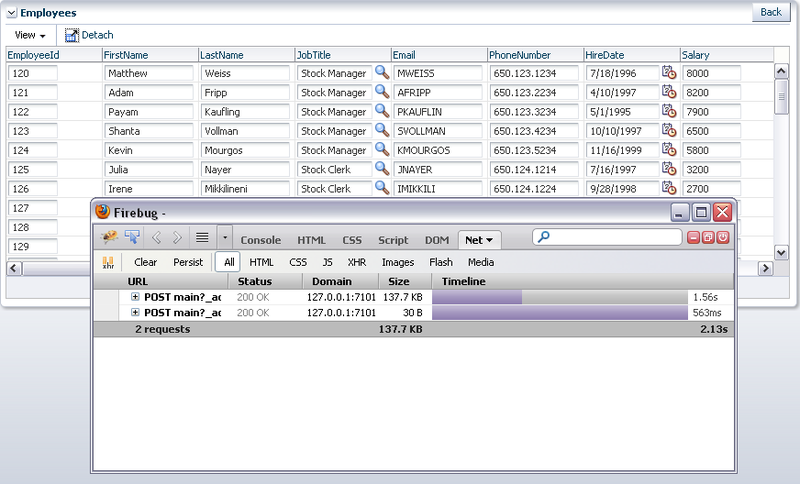 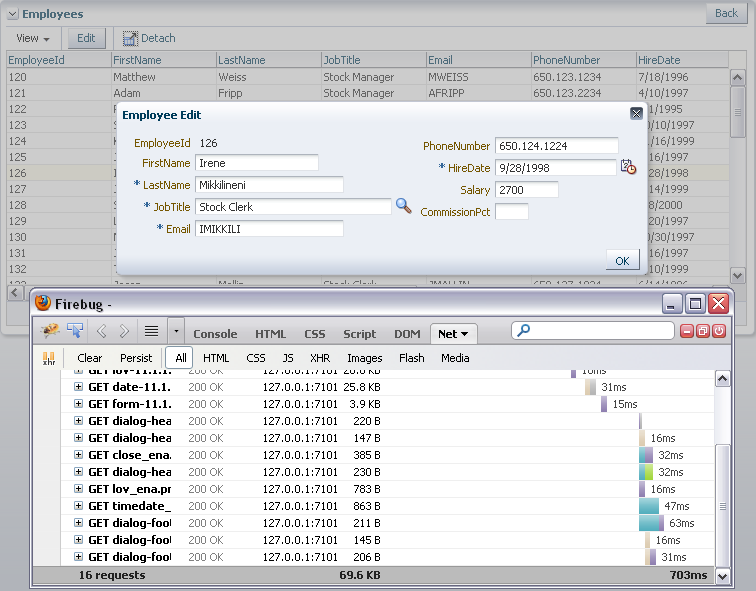 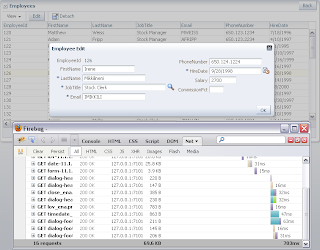 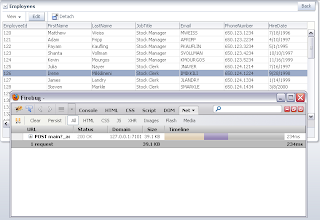 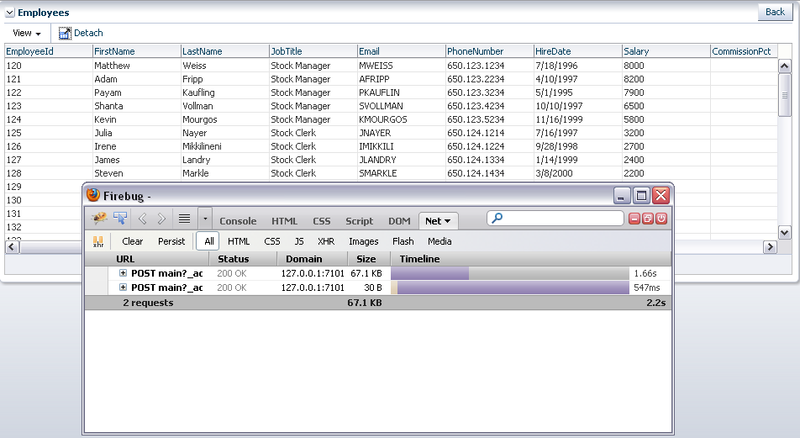 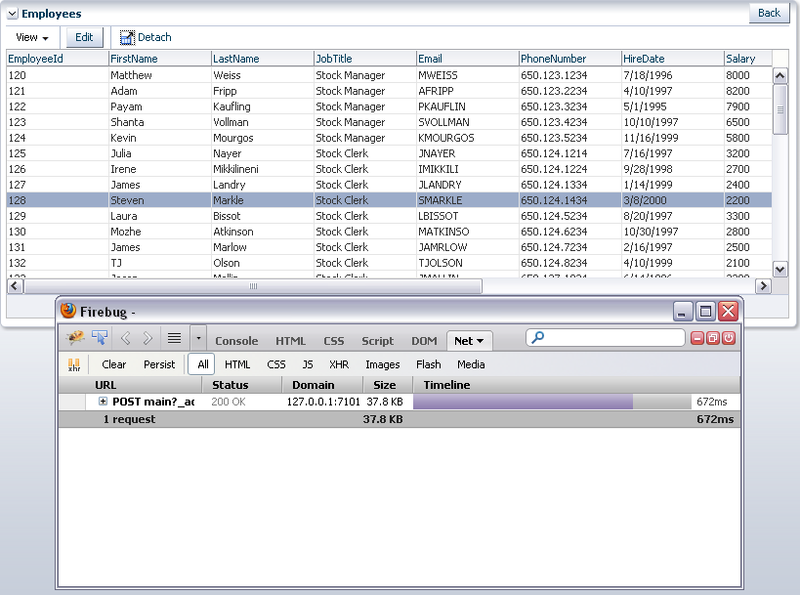 Remember those times when we were implementing database driven dynamic menus ? 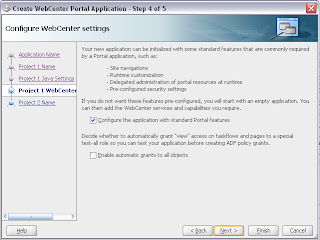 Good - now you can forget it, now we have declarative dynamic menu provided by WebCenter PS3. 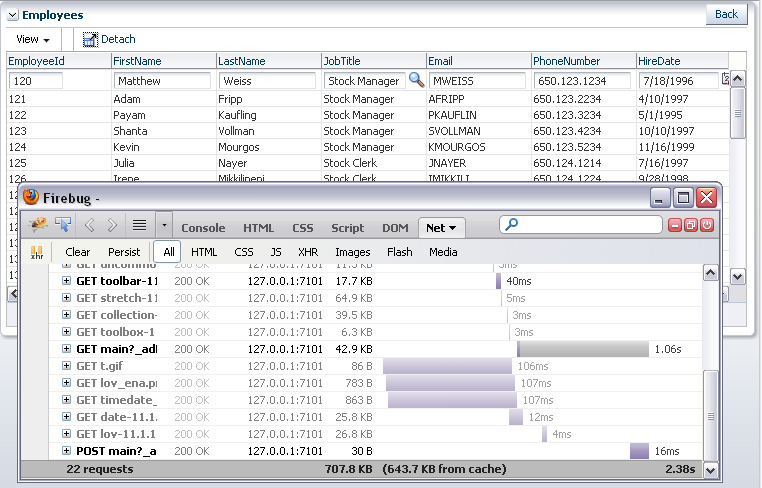 One of the key things - its not limited to work only with one type of content. 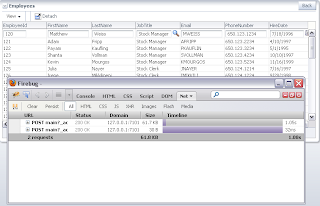 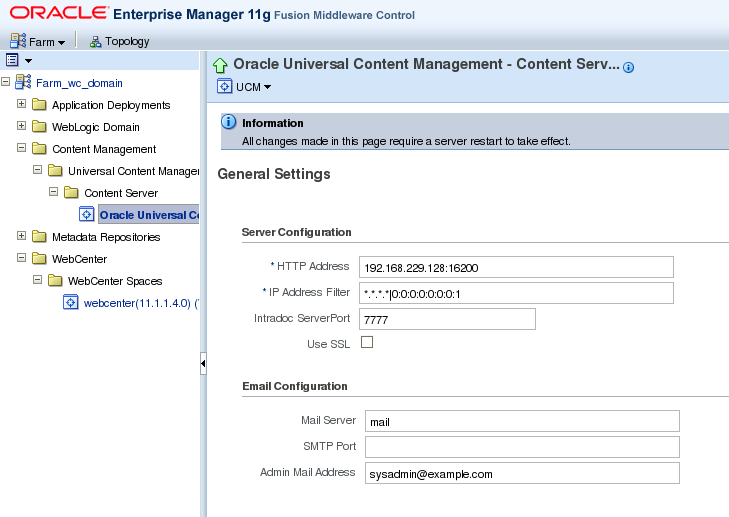 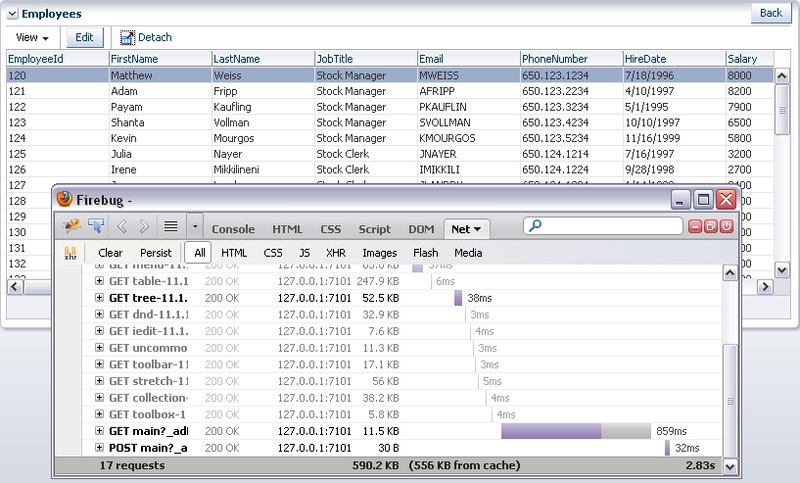 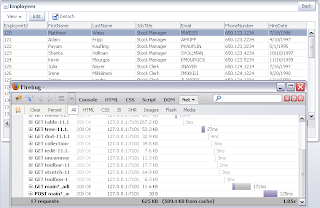 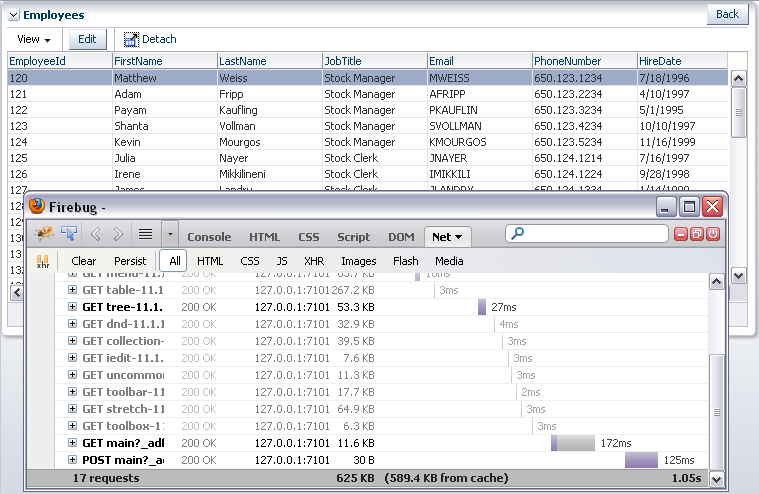 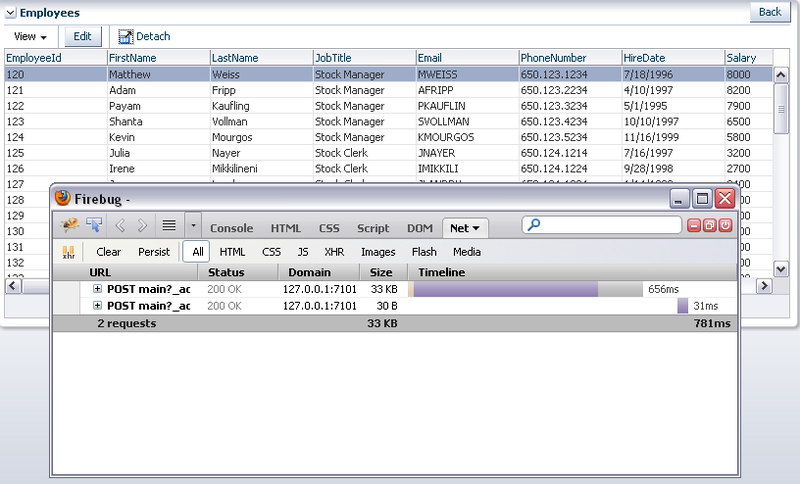 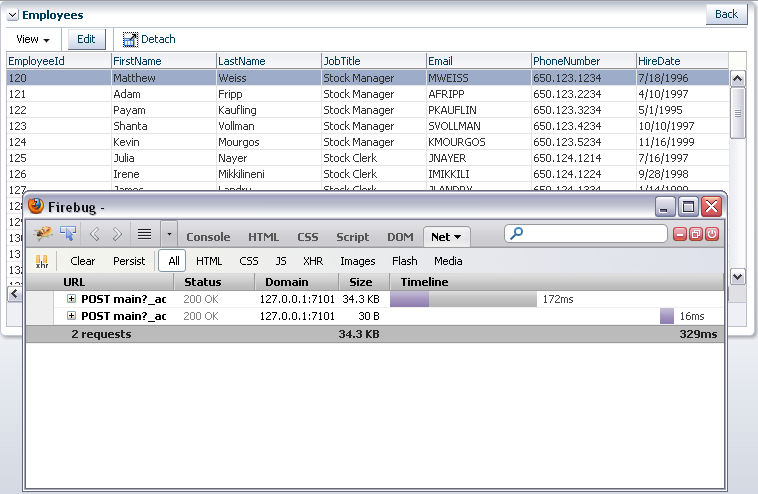 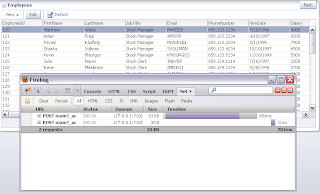 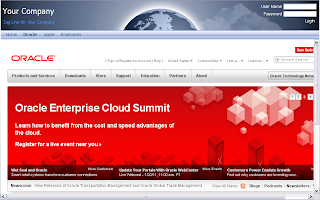 It supports everything - pages, ADF task flows, UCM content, external Web pages. 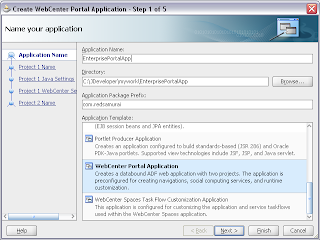 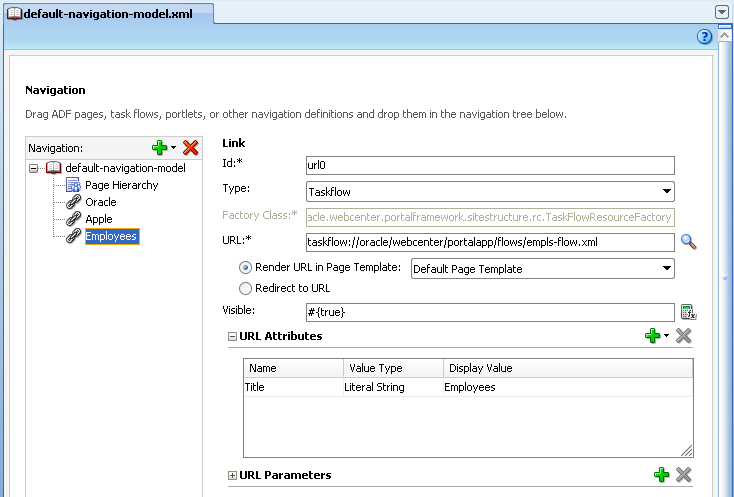 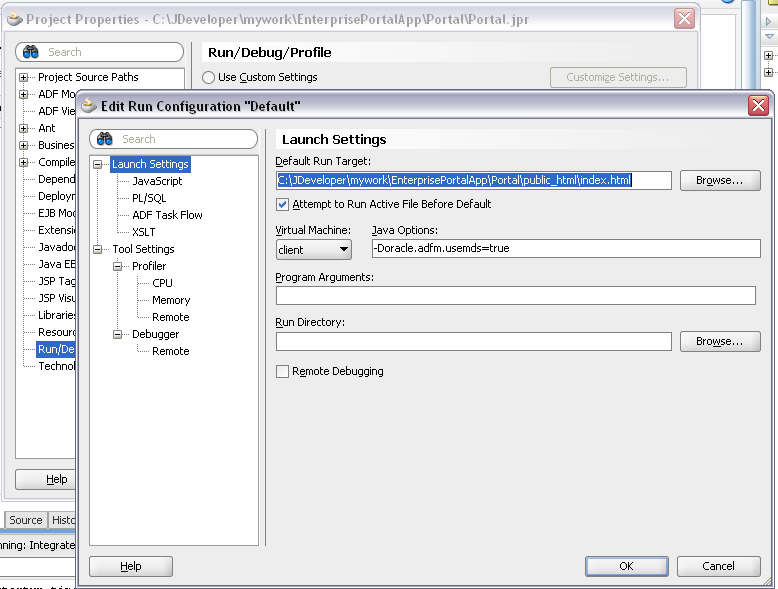 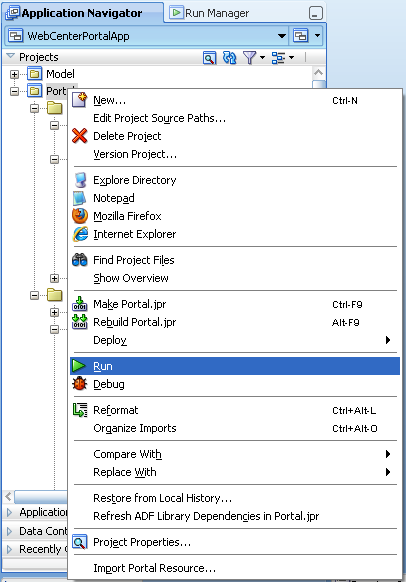 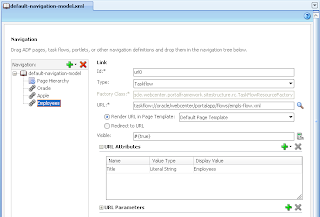 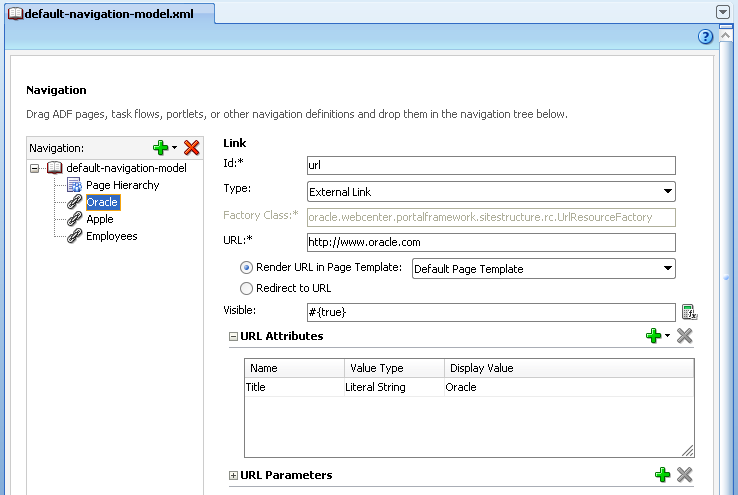 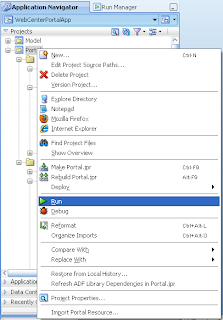 Please read - Building a Navigation Model for Your Portal and Visualizing Your Portal Navigation from WebCenter PS3 developer guide. 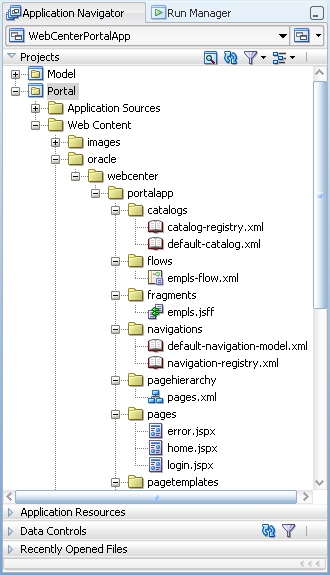 Its very useful to be aware of different options for Expression Language related to navigation.